Feline panleukopenia virus (FPV) is the oldest known cat virus, having been recognised as a disease in the early 1900s. It was eventually identified as a virus in 1928 but a vaccine was not created until the 1960s. In Australia, it was a common condition until the mid-1970s when pet owners increasingly began to get their pets vaccinated. The disease largely disappeared among pet cats but it was not eradicated. Then, in Melbourne in 2014 and Sydney in 2016, it started to re-emerge in cat shelters. The disease was identified as re-emergent FPV by Vanessa Barrs, Professor of Feline Medicine & Infectious Diseases at the University of Sydney. Professor Barrs knew she wanted to be a vet from a very early age. Reading the James Herriot books and watching All Creatures Great and Small on the TV cemented her career aspirations at age 12. Growing up in Griffith, in the Riverina area of NSW, she signed up for work experience with a local vet. After graduating in 1990, she spent three years working in mixed animal practices in the Sydney suburbs of Erskineville and Fairfield. This was followed by a three-year residency training program at the University of Sydney specialising in small animals. At the end of her residency, Professor Barrs decided to specialise in feline medicine. Professor Barrs then moved to the UK for two years, working in a feline-only referral clinic in North London. On her return to Sydney, she took a job at the North Shore Veterinary Specialist Centre as a feline medicine specialist. Then, in 2004, she returned to Sydney uni and took a leading role in establishing the Valentine Charlton Cat Centre. The Valentine Charlton Cat Centre was one of the first referral centres in the world to be dedicated to feline health and clinical research to improve feline health, with a stand-alone feline intensive care ward, feline hospital and feline ward for treating hyperthyroidism with radioactive iodine. It’s registered as a ‘gold level’ Cat Friendly Clinic by the International Society of Feline Medicine. 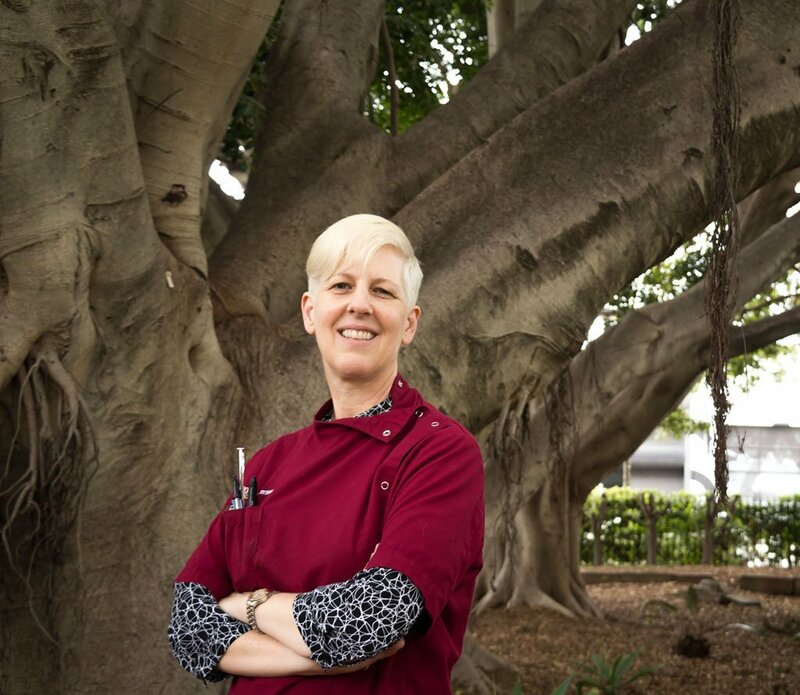 Professor Vanessa Barrs has specialised in feline medicine for most of her veterinary career. From 2013 to 2017, Professor Barrs was the director of the Sydney University Veterinary Teaching Hospital. She was involved in the strategic decisions around how the hospital operates and the kind of services it runs. The position involved managing 100 staff, liaising with vets and students while ensuring good quality control. As of 2015, the university entered into a corporate relationship with Vet Partners so many of the management requirements were outsourced and the responsibilities shared. Presently, Professor Barrs sits on the Marie Bashir Institute of Infectious Diseases and Biosecurity Advisory Board. Marie Bashir is the former chancellor of the University of Sydney and the advisory board was set up at the end of her chancellorship. Back in 2005, Professor Barrs examined three cats with an unusual fungal respiratory infection. At that time, there had only been about 10 cases described in the world. Concerned, she came together with colleagues and wrote a letter to the Australian Veterinary Journal to inform them about this disease. The disease is transmitted by breathing in fungal spores from the soil. Humans are generally only infected if their immune system is compromised, such as when a person has an organ transplant. Over the past 10 years, Professor Barrs has done extensive research to characterise the types of diseases that occurs in cats. She has looked at the types of fungi responsible, the changes they cause and how to treat it. For the past three years, Professor Barrs has been almost completely focused on research but feels the time is right to mix things up a bit. “From the start of 2019, I’ll be consulting two days a week,” she says. “It will be nice to get back to feline medicine while still undertaking research. I will continue to work on infectious diseases particularly in animal shelters. I’m also really interested in viral infections that can occur in areas where wildlife, cats and dogs cohabit. One fun project I have lined up—and it has nothing to do with feline medicine—is to look at the community of viruses that inhabit the gut. I’m going to be mainly be dealing with grey-headed flying foxes.